In her poem “The Feast of Lights” Emma Lazarus speaks of the mystic lights as she tells the story of Hanukkah, the story of a military victory and the miracle of a sacred lamp that burned for eight days even though there was only enough oil for one day. 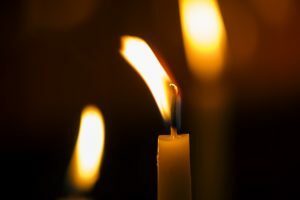 As we tell this story, we celebrate the light burning in the human heart, a light that brings hope and possibility even in times of darkness and despair. Sunday services are offered at 9:45 ans 11:30 AM with nursery care for Pre-school age and younger available during both services.